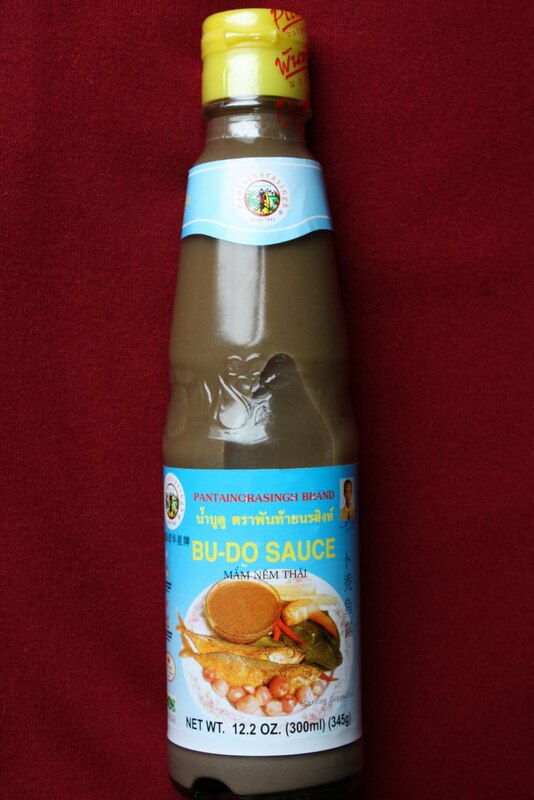 Budu is a fish sauce and one of the best known fermented seafood products in Kelantan, Terengganu and Southern Thailand as well. It is traditionally made by mixing anchovy and salt in the range of ratio of 2:1 to 6:1 and allowing to ferment for 140 to 200 days. It is used as a flavoring and is normally eaten with fish, rice and raw vegetables. It is similar to the patis in Philippines, ketjap-ikan in Indonesia, ngapi in Burma, nuoc mam in Vietnam, ishiru or shottsuru in Japan, colombo-cure in India and Pakistan, yeesu in China and aekjeot in Korea. The fish product is the result of hydrolysis of fish and microbial proteases. The flavor and aroma of Budu are produced by the action of proteolytic microorganisms surviving during the fermentation process. Palm sugar and tamarind are usually added to promote the browning reaction occur and resulting in dark brown color. The ratio of fish to salt plays an important key in the final desired product. The different concentration of salt influences the microbial and enzymatic activity, resulting in different flavors. The microorganisms found during Budu production are generally classified as halophilic. The microorganisms play important roles in protein degradation and flavor-aroma development. It is a traditional condiment in the East Coast of Peninsular Malaysia, particularly in the state of Kelantan. Even ethnic Chinese in Kelantan are involved in Budu production. Anchovy and its products like budu is high in protein and uric acid content, thus not recommended for people with gout condition. However, uric acid content in anchovy is actually lower than tuna. Budu which was made from anchovy sauce have shown potential as an anti-cancer agent. New form of budu in powder forms have been developed by Politeknik Kota Bharu (PKB) student. This allow easier storage and transport as it is lighter and less prone to bottle breakage. Recipes using Budu see Here.